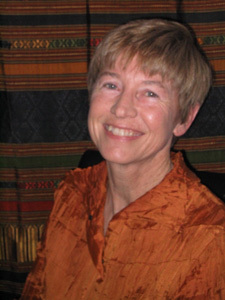 ISABEL STIRLING became active in international librarianship during her years as science librarian and professor at the University of Oregon, traveling several times to China and Japan. On one of her trips to Japan that she was invited to stay at Ryosen-an, where Ruth Sasaki had developed her formidable library. Stirling is Associate University Librarian of the University of California, Berkeley, and makes her home in Sausalito, CA.